I had a little time to myself this morning and thought I would take a drive down to the beach. 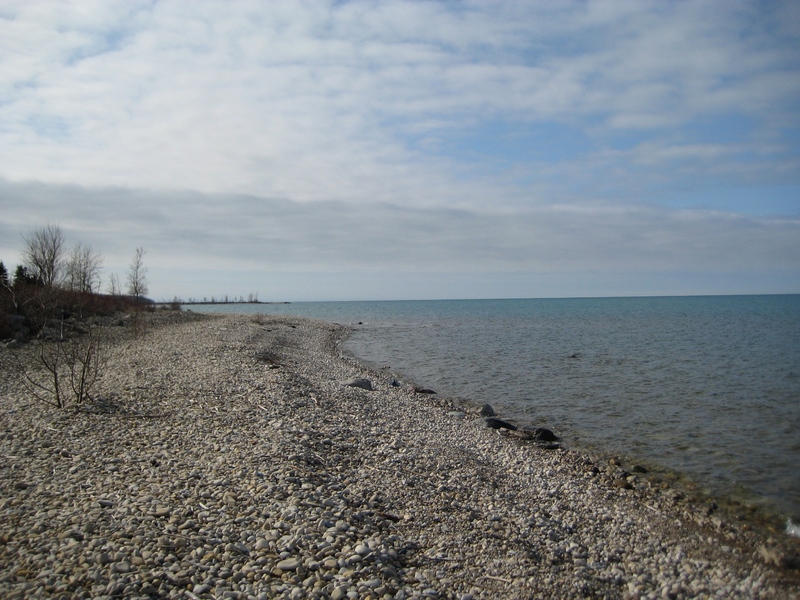 This beach is at Goderich Ontario and is beautiful any time of the year. There are many sections and lots of different types of beach to walk, or stroll, or swim (just not at this temperature). 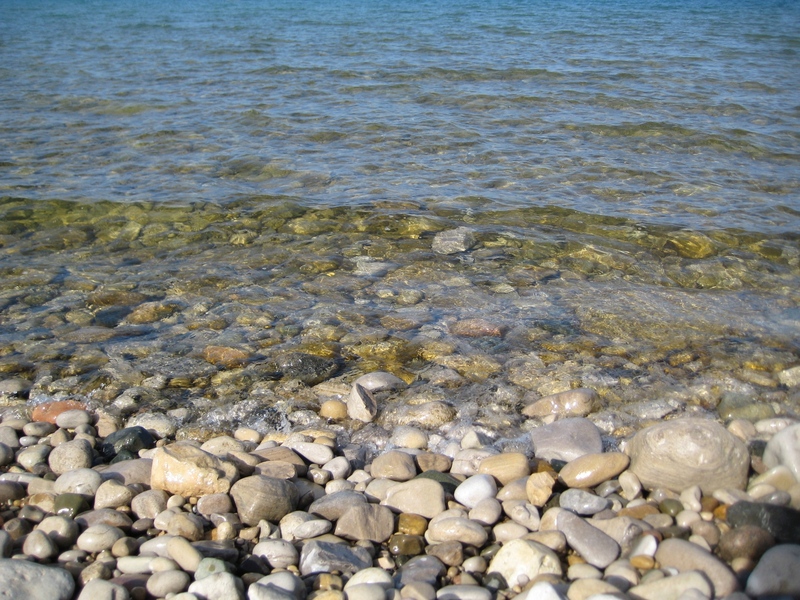 The sandy cove is busy in the summer but since I had no intentions of going for a dip in the frigid waters of Lake Huron, I opted for the rocky part. 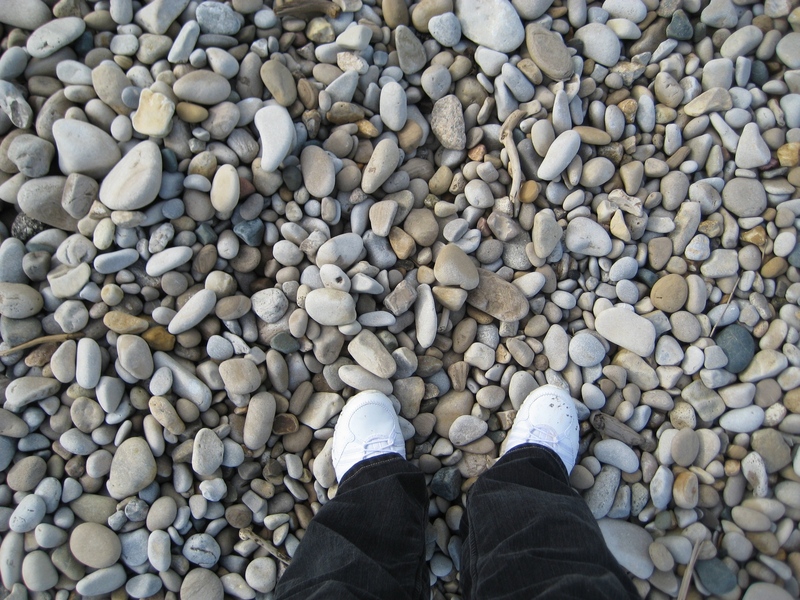 I love beach rocks. I aimed for the big rock next to the water and sat for a while. It was brisk along the water. Way out I could see a whole flotilla of little fishing boats. I have no idea what they fish for at this time of year, I only hope the all had their woolies on! Brrrr. This is not the swimming part of the beach and even the walking can be treacherous. But if a stroll is what you are after there is a long boardwalk. They do a great job of maintaining this public beachfront. No wonder it is so popular with locals and tourists. 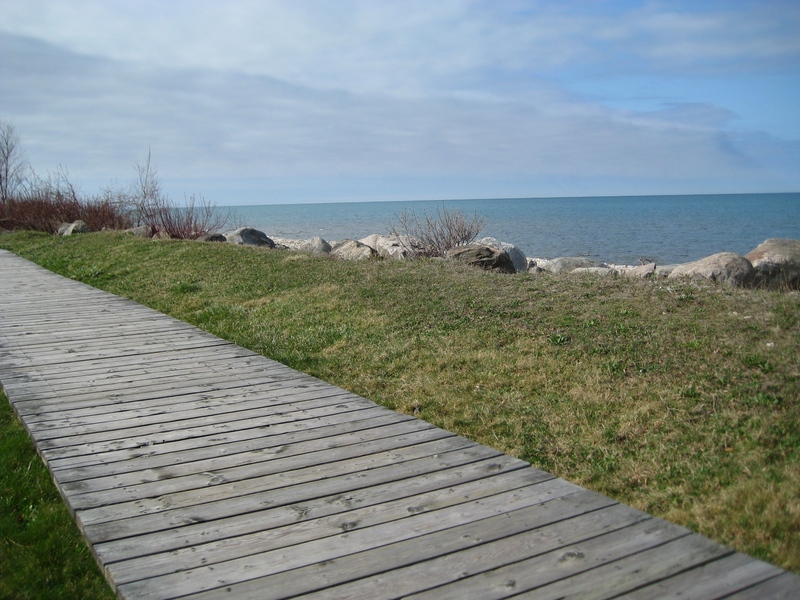 The boardwalk is wide and level, and there are benches along the way. Picnic shelters and a couples of great play areas, wonderful for a family outing. I like to scramble down the rocks and walk along the edge of the water. 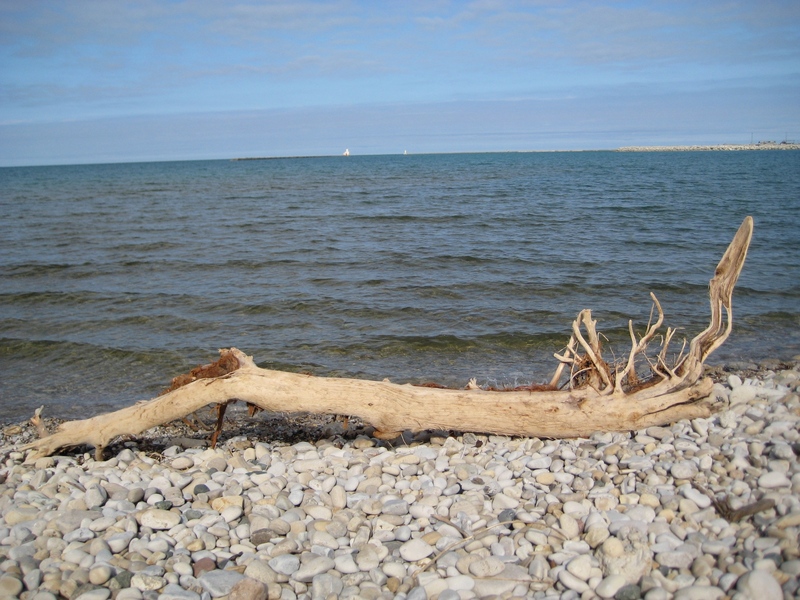 Lots of interesting things floated ashore over the winter. This is how I walk for most of the time, head down looking for interesting rocks. I was very good this time, I did not bring home a pocket full. My feet look small, they are not really. A couple of ships were in harbour waiting to get loaded with salt. The worlds largest salt mine is under my feet. After that bracing walk I went home and made a huge breakfast, nothing like fresh air to make you hungry. I timed my drive and was home at Hedgehog Hill in just over 8 minutes. I was lucky with stop lights so it might take longer another day. And in the summer when the beach is full of tourists…. Then I managed to make it to the end of the first colour repeat on the ripple afghan. Now I start back into the black and repeat the stripe pattern. I think 3 or 4 repeats will make a huge and cozy afghan to cuddle under next winter. I am even getting to like the crazy, shocking colour scheme. Thanks Tammy. I based the ripple pattern on Lucy’s from Attic 24. The yarn is some left over from an afghan for my daughter, it was a granny square and I am amazed at the difference in the colours when you use them in a different pattern. Thanks for stopping by! Hey! 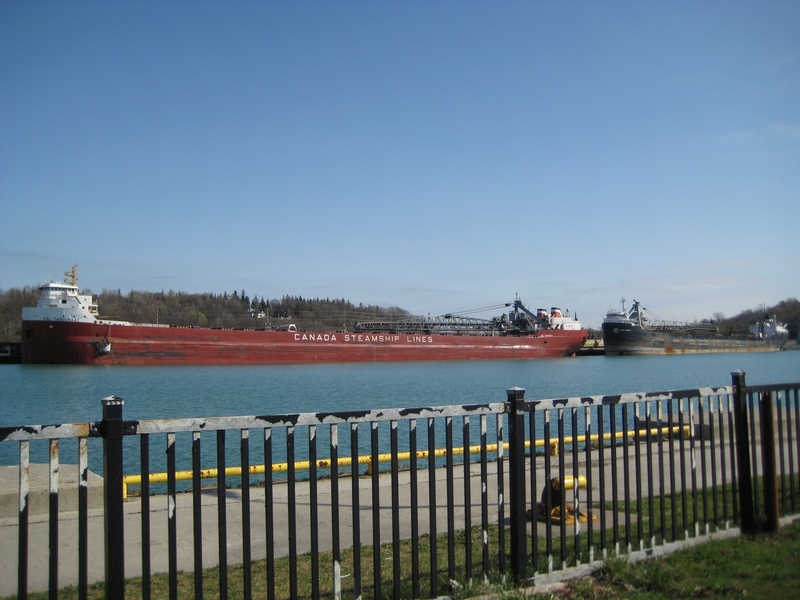 I found your blog through “Cozy Little House” but what caught my eye was that you were visiting Goderich and Lake Huron. Where are you located? I grew up in Exeter, not far from there, but now make my home in Milton. 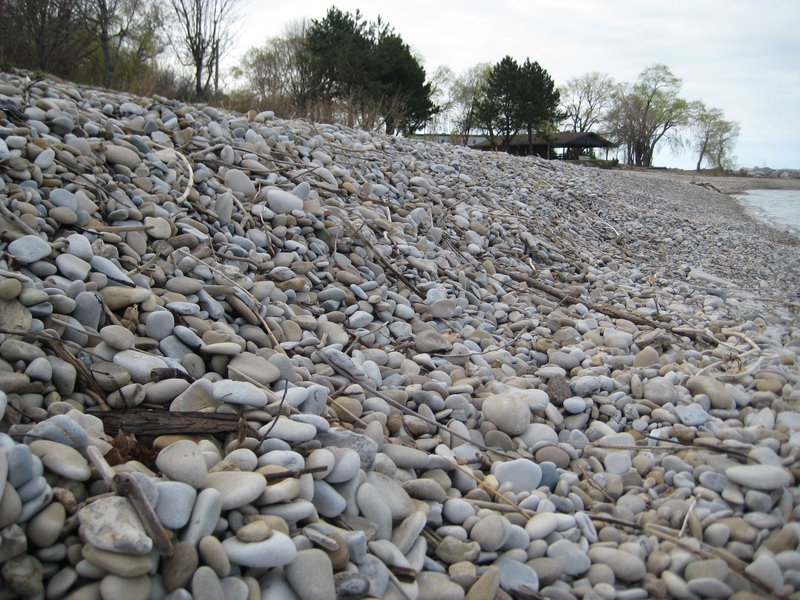 We try to visit the beach at the conservation area just north of Grand Bend as often as possible in the summer (my mom still lives in Exeter) and your images get me excited about the upcoming beach season. In fact, I may take the kids there in the next few weeks just to have a “early spring” visit just like yours. 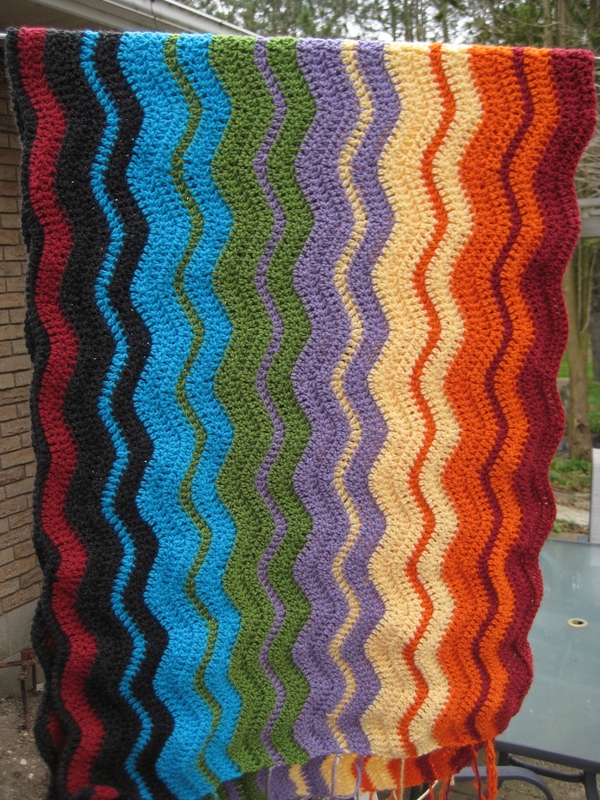 Your ripple afghan is gorgeous! Great colour combo. I did one recently with pastel colours for a friend having a baby. Quite addictive, I must say! Hi, I could not find your email address. Just wanted to let you know that today you’ve been featured on my weekly Welcome Wagon Friday post. Welcome to our blogging neighborhood. We will all enjoy getting to know you better! Thank you Brenda! Wow my views spiked from your post Hope all is well with you. I am loving all of your lollipop line. So cheerful!